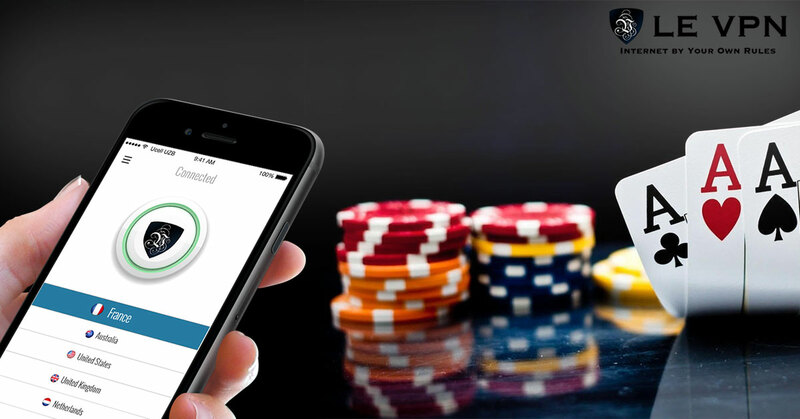 Whether your game of choice is Texas Hold ‘em, Omaha Stud, Hi-Lo Chicago or any other type of poker, Le VPN lets you play online at many of your favorite tables safely and securely. We provide fast private networks for poker players and others who wish to gamble online. Connecting with us is easy and convenient — read on to learn more about the benefits of using Le VPN for poker, or sign up online today. With Le VPN, you can now play poker at most of your favorite sites, whether you live in a country where online gaming is restricted, work in a location that’s blocked by a firewall, or go online through a connection you don’t entirely trust. To play poker with Le VPN, you may need a bank account in the country hosting the site. If that’s not possible, there are some online poker rooms that will allow you to use PayPal or a virtual currency such as BitCoin. Remember that the laws surrounding online gaming are changing all the time, and certain sites won’t let you play over a private network — be sure to check beforehand to ensure you’re gaming safely and legally. Le VPN is proud to be one of the best online VPNs for poker players around the world. Our network consists of more than 800 servers in the UK, Canada, Thailand, Spain and other locations that allow online poker. Connections are fast and fully encrypted to ensure your privacy and protection. Best of all, we offer convenient flat rate pricing starting at just $4.95 a month — this includes unlimited speed and data transfer as well as our custom software and app, which makes connecting easy whether you’re on a Mac, PC or mobile device. There’s no better VPN for online poker than Le VPN. Try it yourself by signing up for a risk-free, seven day money back guarantee today.